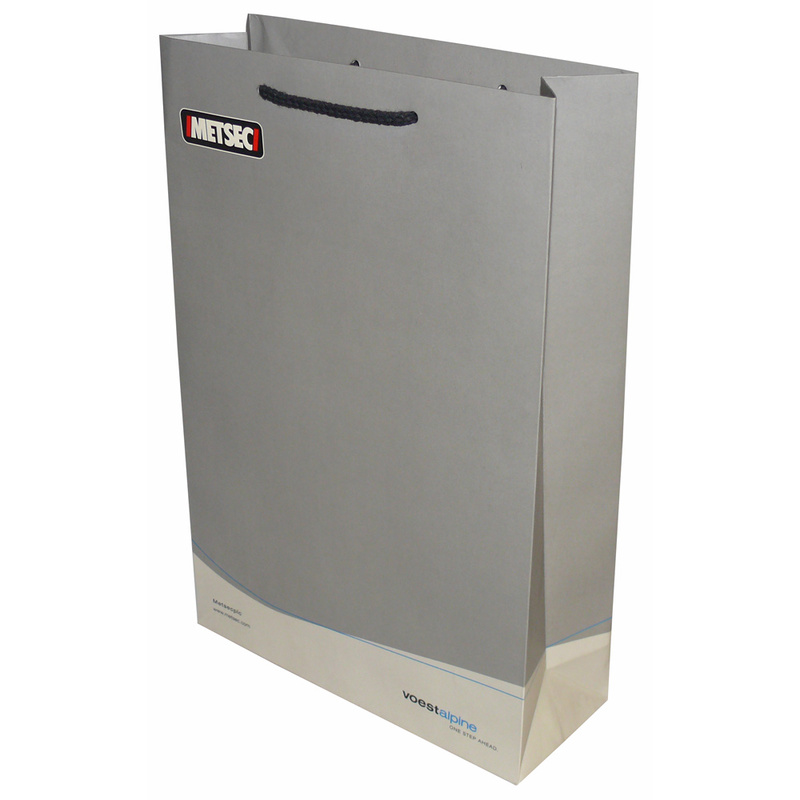 Paper carrier bags can be manufactured from paper or card up to a thickness of 250gsm. With a matt lamination this results in a very rigid carrier bag. With extra weight cardboard reinforcements at the base of the bag and underneath the turn over top, the bags can be produced to hold a large weight a be very reuseable. Extra thick ropes and metal eyelets also increase the capability of the bag. A thicker rope increases the comfot for the person which metal eyelets increase the durability of the bag. Printed 3 colours, 100% process. Beckdale.co.uk assist in the creation of unique thick luxury paper bags. Beckdales staff love to help purchasers design tailored thick luxury paper bags. To proceed with choose by material or other , connect with our team via our contact page.